Rare find on the water in Pooler, GA at Hamilton Grove! You'll appreciate easy living in this impressive, spacious home. 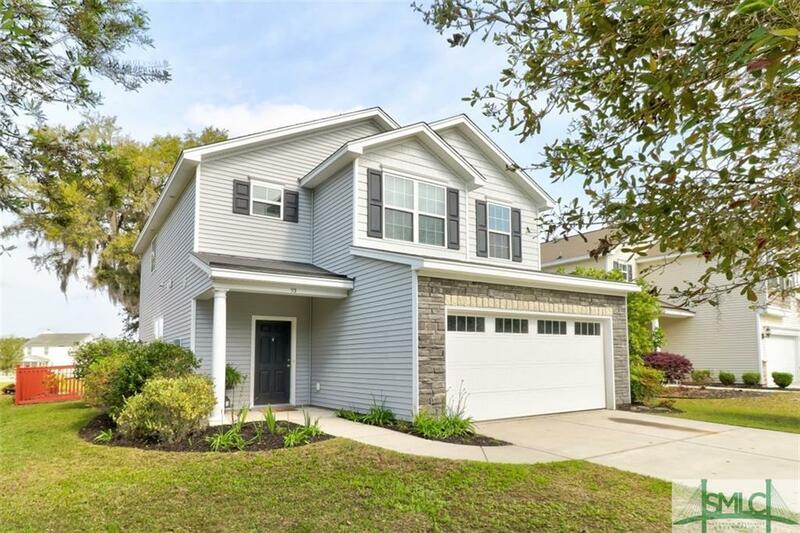 Enjoy gatherings in the generously-sized living/dining area that opens into the recently-updated kitchen that will inspire your inner chef with its stainless steel appliances, new glass backsplash and nice pantry. Glass doors off the dining area lead you to a fully fenced yard that is home to a centuries-old live oak tree overlooking the expansive lake that is just a few steps away. Back inside, the bright and airy loft space provides room for a second living area that's roomy enough for sofas and tables. The upstairs master bedroom has its own private bath featuring a deep soaking tub, stand-up shower plus a huge walk-in closet with a shelving system. You'll also love the convenience of your 2 car garage and a great neighborhood near all with the best restaurants, shopping, and entertainment choices. Make your appointment to see this home today!